Find Your Homeschool Curriculum - Join 237,745 Families! -- Select Subject -- All-In-One / Multi-SubjectArt & MusicElectivesForeign LanguagesFreebiesGeographyHistoryLanguage ArtsMathScience & TechnologySocial StudiesSmartPoints Rebate OffersSpecial NeedsTeaching ResourcesTest & AssessmentThinking & Other Skills	 -- Select Grade -- PreKK12PreK-23453-56786-891011129-12Adult	 -- Select Product -- Achieve3000ACTIVATEAdaptive CurriculumAlpha Omega 20% SaleAlpha Omega PublicationsAnalytical GrammarAnimation-ishApologia Bible StudyApologia ScienceBethlehem BooksBrainologyBrainPOPBrainWare SafariBrave WriterBright Ideas - History & ScienceBright Ideas Press GeographyBritannica Digital LearningCatchup MathCatchup MathCathy Duffy's 102 Top PicksCCC! - National Geographic Online StreamingCCC! - BBC History Online StreamingCCC! - Disney Online StreamingCCC! - Dr. Seuss & Friends Online StreamingCCC! - Focus on Health & Life Skills Online StreamingCCC! - National Science FndtnCCC! - Shakespeare Online StreamingCCC! - SmartMath & StarMath Online StreamingChessKid.comChester ComixClifford Science ClubCodaKidCodeCombatCodeMonkeyCodeREV KidsCompass ClassroomCompuScholarCTCMathCTL ChromebookDigital Theatre PlusDiscovery Education K-8 Science TechbookDiscovery Education Math TechbookDiscovery Education ScienceDiscovery Education Science High School TechbookDiscovery Education Social Studies TechbookDiscovery Education Streaming PlusDiscovery Education Streaming Plus FREE TrialDIY Desk CalendarDoodleMathsDreamBox LearningDriversEd.comDyslexia GoldEdOptions AcademyEducationCityeMedia Music AcademyeMedia Music InstrumentseTAPExplode The Code OnlineFab@School Maker StudioFascinating EducationFieldTripZoomFix It! GrammarGeoMattersGet Smart Digital ProgramGinger SoftwareGrammar In A NutshellGrammarActiveGrammaropolisHands-On EquationsHearthSong SP RebateHELP MathHighlights - MathmaniaHighlights - Thinking SkillsHighlights - Travel AdventuresHighlights - Which Way USAHistory Bombs ClassroomHMH ElectivesHMH History and Social StudiesHMH History and Social StudiesHMH ScienceHome Art StudioHome School In The WoodsHomeschool Diploma TemplatesHomeschool ID CardHomeSchoolPianoHorizonsHuman Body Detectives - ElementaryHuman Body Detectives - Middle/High SchoolIn the Hands of a Child Build Your Own BundleInstitute for Excellence in WritingiStartStrongIXLJim Hodges AudioKaplan Online Test PrepKids Guitar AcademyKumon BooksLabsterLearn Math Fast SystemsLearning AllyLearning Style AssessmentLearning Wrap-UpsLeVar Burton Kids SkybraryLIFEPACLiteracyPlanetLitWitsLitWits Individual KitsMaestro ClassicsMakeCrateMango LanguagesMapping the World by HeartMark Kistler Draw3DMaster BooksMath in FocusMath MammothMath WhizzMathCloudMathHelp.comMathseedsMCP MathematicsMCP Plaid PhonicsMeet the MastersMeister CodyMembean VocabularyMiddlebury InteractiveMindPlay Virtual Reading CoachMindprint LearningMonarchMusicLearningCommunity.comMUZZYMY Access!MyBoardSharemyON SubscriptionMystery of HistorymyWorldNessy.comNotgrassOcean First EducationPLATO High School SciencePLATO Lang ArtsPLATO Math - High SchoolPLATO Math - Middle SchoolPLATO Middle School ScienceProgeny Lit Guides (Print)Progeny Press PDFsQ WunderQuick Start CarschoolingRand McNally World AtlasReading Assistant PlusReading EggsReading HorizonsReading StreetReadoriumReal Science-4-KidsRedbirdRightStart MathematicsRosetta Stone Homeschool OnlineSara Jordan Bilingual Kid SeriesSaxon HomeschoolScience Sidekicks and Science StartersScienceFusionShakespeare In BitsShillerLearning: Test PrepShmoopSigning OnlineSing, Spell, Read & WriteSmart ScienceSmartTutorST MathStarry NightStudy IslandSupercharged ScienceSwitched-On SchoolhouseTaken Charge - Core Tech SkillsThe Classical HistorianThe Classical Historian OnlineThe Great Courses PlusThe Quarter Mile MathThinkCERCAThinkwell MathThinkwell ScienceThinkwell Social StudiesTime4LearningTimes TalesTouch-Type Read and SpellType To LearnTyping PalTYSC Monthly SubscriptionTYSC Science-Art FusionTYSC STEM CollectionsuHandy MicroscopeUltimate Science CurriculumUzinggoVeritas Press Self-Paced Online CoursesVideoText Interactive OnlineVisualize World Geography OnlineWeaverWhistlefritzWhy Homeschooling ROCKS!Woodwind & BrasswindWord Voyage Vocabulary & GrammarWordBuild VocabularyWordly Wise i3000Words and Their StoriesWorld and IWorldView SoftwareWorldView SoftwareYay Math! Sing, Spell, Read & Write LeVar Burton Kids Skybrary LitWits MY Access! Amazing Homeschool Curriculum. Lowest Prices Anywhere. 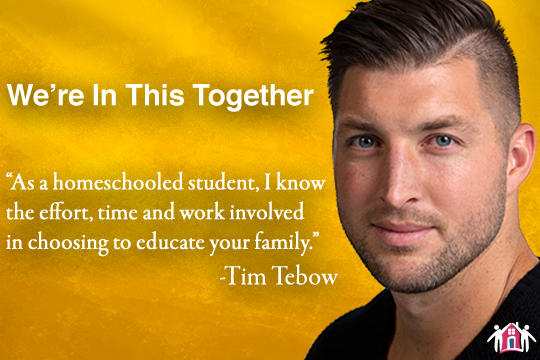 Join Tim Tebow at the Co-op! Tim had obstacles that challenged his homeschool journey both internally and externally. He struggled with dyslexia as a child, which made him think that he would never be able to read a book with ease. However, he never stopped challenging himself to read more frequently to improve his skills, and eventually, he became a published author of multiple books. Tim also faced difficult interactions and stereotypes as he was playing sports with kids who attended traditional brick and mortar schools. But that did not hinder him from believing in himself or pursuing his dream to become a professional athlete. He focused on working harder than anyone else to earn other kids’ respect. With this life experience, Tim has emphasized the importance of hard work and self-acceptance. “People are going to view you as different, and that’s OK. And sometimes I think it’s pretty good to view yourself as different." The virtue of hard work, compassion, and self-determination of Tim Tebow’s career and life aligns closely with what we seek to achieve at the Co-op. The Co-op is thrilled that Tim has joined our member families to support homeschool families on this challenging and rewarding journey. We know that your homeschoolers will flourish as Tim has because they have your devotion, love and support along their path. And we will be with you the entire way because we’re in this together! JOIN TODAY! It's absolutely FREE and you can trust us to never use your contact info for anything other than to bring you the greatest homeschool curriculum values on earth. Then share and tell your homeschool friends and groups about the Co-op. The more members we have, the greater our purchasing power, the more services we can provide, and the deeper the discounts we can get for our homeschool curriculum! Also, be sure to check for fun happenings on our Facebook page as well. With over 190,000 families, the Homeschool Buyers Co-op is the world's largest buyer's club for homeschooling families. 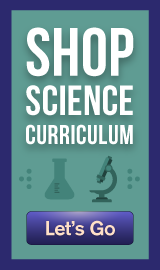 We use our purchasing power to get members the best deals anywhere for homeschool curriculum. Sure, you’ll find companies that sell tens of thousands of products to homeschoolers. But not at the Co-op. If you are looking for the right homeschool math curriculum for your 5th grader, you don’t want to be swamped with thousands of options. We think you want 3-5 proven choices that have been reviewed and approved by someone you can trust. That’s always been our mission, and one we take very seriously: to find the very best curricula for each subject, grade, teaching style, and learning style. We are interested in quality, not quantity. To that end, we attend education conferences, scour the Internet for award-winners, and chase down hundreds of leads from members. Every year we get hundreds of requests from publishers asking us to add their products to our catalog. We look at every one, and accept no more than 1%. When you shop the Co-op catalog, you can do so with confidence that every product we list is worthy of your attention. It may or not be the right product for you, but it is not another “me too” curriculum. It must meet a high bar to be included. 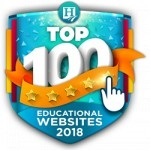 Many, if not most, of the product lines we offer have won national awards, and many, such as Discovery Education Streaming Plus simply aren’t available anyplace else. You’ll see the phrase “The Best Deal Anywhere” all over our website, and we aren’t kidding! We figure that, as a buyer’s club, if we can’t get you a better deal than you can get on your own, then why should we bother? If you can’t find a popular homeschool curricula on our website, it’s probably because we can’t get you a better deal than you can get from other companies. To the best of our knowledge, every deal on our website represents the best value anywhere for that product. If that's not the case, let us know, and we’ll fix it! The wonderful homeschool moms who respond to your messages on our Contact Us page have only one guideline in their handbook: Treat our members the way you would like to be treated. We think they do a terrific job. But don’t take our word for it. Just spend a few minutes reading the submissions on our Testimonials and you'll soon find accolades for our support team. Sure, we have to sell homeschool curriculum in order to pay the bills, but as fellow homeschoolers, we understand there’s a lot more to homeschooling than just getting the best deals for the best curriculum. 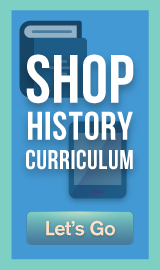 The world’s largest database of free Homeschool Curriculum. An incredibly cool FREE Homeschool ID Card generator. We wish you great success and happiness in your homeschooling adventure! We applaud you for starting down this rewarding and joyful path!